Teeth whitening is a popular way to remove surface stains and fix discolored teeth, resulting in a whiter, brighter smile. Why is it so popular? Well, there’s a reason why 89% of orthodontists have received teeth whitening requests. Whiter teeth can improve appearance, help with confidence and may even prompt more social opportunities. 99.7% of people believe that an attractive smile is an important social aspect. Teeth whitening treatments can range from whitening toothpastes and rinses, to at home kits, to dentist-administered procedures, with whitening effects varying with each method. Toothpastes and rinses will have less of an effect on teeth because they contain no bleaching agents while whitening kits and in-office treatments will be more effective because of higher levels of whitening agents, such as hydrogen peroxide. ​There are also a variety of methods to achieve whiter teeth including whitening strips, whitening trays, gel, charcoal scrubs DIY remedies and more. What treatment you decide on and where you decide to do it (whether at home or in-office) will all depend on the needs of your teeth and what your overall goal is. It can be beneficial to talk with your dentist about what options are best for you based on your dental history. People with sensitive teeth, teeth with previous dental restoration or cavity-filled teeth will need to take the proper precautions for a safe and successful teeth whitening experience. We know that teeth whitening treatments are a great solution to stained, discolored teeth… but how do they work? Knowing the ins and outs of teeth whitening and what makes a whitening solution work can lead to more informed purchases for you and your teeth! For starters, and to really understand how teeth whitening solutions work, it’s important to recognize the difference between the two major kinds of tooth stains and how they can be removed. ​Extrinsic stains can be whitened simply by using special toothpastes or rinses. 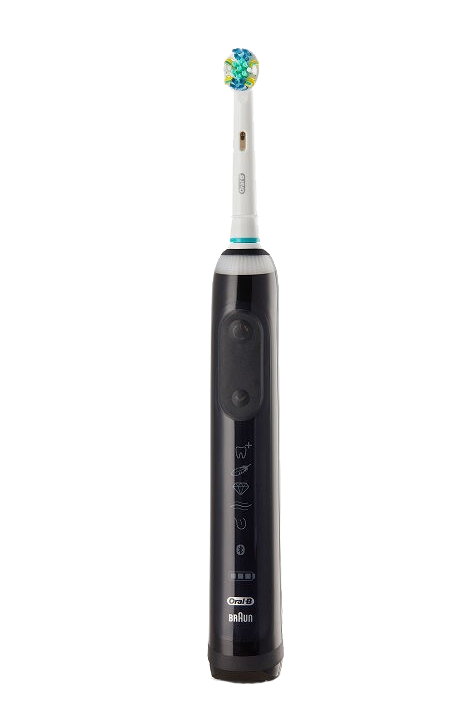 A mild abrasive to remove plaque and other bacteria. Polishing agents to whiten teeth. Some may even contain hydrogen peroxide (Although unlike whitening kits or in-office whitening treatments, the hydrogen peroxide is inactive and used as minute dosage - there is no bleach in whitening toothpastes). Whitening toothpastes can whiten teeth to about a maximum of one shade lighter. Intrinsic stains are those that have seeped through the tiny cracks and and chips in the tooth, down to the dentin layer. ​While extrinsic stains can usually be fixed with whitening toothpastes or gels, intrinsic stains need a little more work. That’s where teeth whitening comes in. 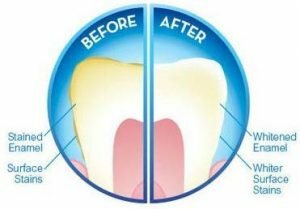 Most teeth whitening solutions contain a whitening agent (like hydrogen peroxide) that can penetrate beneath the outermost layer of the tooth - the enamel. Once past the enamel, the whitening agents come into contact with the tiny, discolored molecules within the pores of your teeth. These molecules then counteract with the oxygen molecules in the whitening solution, breaking them apart. Oxygen molecules begin to cover the entire surface of the tooth, leaving you a new set of pearly whites. Of course, the level of whiteness that results will depend entirely on what whitening system is used. 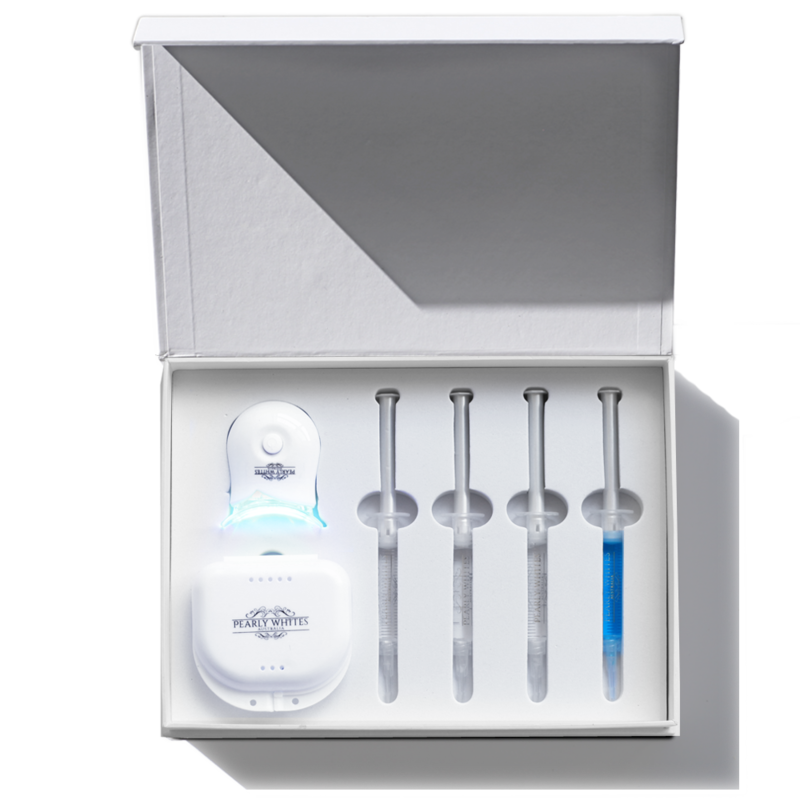 Each whitening system works differently, contains different levels of whitening agents and will yield different results. For example, at home whitening kits or whitening strips will usually contain only 3% hydrogen peroxide while in-office treatments can contain anywhere from 15 to 43%. You can expect to see a shade up to 8 times whiter than what you started with when you complete an in-office whitening treatment. In addition, the current state of your teeth will also affect how whitening treatments work. Those will heavy stains from smoking, coffee, tea or other wear and tear will likely have to put more effort into getting whiter teeth and may opt for a in-office procedure. Teeth whitening is one of the most highly requested dental restorations available. It is a process that doesn’t even require a dentist or special equipment - many teeth whitening kits can be done at home by yourself. But why bother with a teeth whitening treatment in the first place? The number one reason to get your teeth whitened is an increased confidence. If you are feeling insecure, teeth whitening can help give you a similar feeling to wearing a new outfit, rocking a new hairstyle or treating yourself to a fresh manicure. Having confidence can help the improvement of many areas of your life including relationships, work, personal growth and more. Teeth whitening can also help improve your appearance. Turning your yellow teeth white can help you appear more youthful. Not only that, but white teeth often distract from other imperfections on the face - including wrinkles and pimples. Teeth whitening is a great way to improve your overall appearance without the need of any major surgery or effort. Okay, this one might seem outrageous but did you know a whiter smile can actually help boost your social standing? According to Ekwa.com, a person is 58% more likely to get a job offer after having a whitening treatment. Don’t miss out on a career opportunity because of your teeth! Teeth whitening continues to grow in popularity - and as it does, the price to pay for whiter teeth becomes less and less expensive. Of course it’s important to find a whitening system that is worth the time and money. There are definitely some cheap systems out there that won’t work or are unsafe. But, in general, if you read the labels and do your research, there’s no doubt you’ll be able to find a decent treatment plan for a reasonable price. Lastly, what’s stopping you from trying? You may be surprised to find what teeth whitening can do for your confidence, attitude and appearance. There’s no harm associated with teeth whitening, when done correctly, so you have nothing to lose! Teeth whitening is a great (proven!) way to get and maintain a whiter smile. The agents in teeth whitening solutions can remove surface stains and even out the overall color of your teeth. It is a generally safe procedure, whether you decide to have it done in-office by your dentist or opt for an at-home treatment. In general, people with healthy teeth and gums have the green light when it comes to teeth whitening. The ‘perfect’ candidate will have no cavities, crowns, sensitivities or other teeth-related issues. Of course, we aren't all perfect and it’s rare your teeth will be perfect either. It’s always recommended you talk to your dentist to determine if you are an ideal candidate for teeth whitening. There are usually some steps you can take to ensure that you have a safe and successful procedure, even with minor issues or setbacks. Teeth whitening is the process of using certain chemical agents to bring teeth back to their most natural, whitest shade. Teeth whitening treatments can also aid in the removal of surfaces stains and can help even out the overall color of the teeth. It is a process that appears foolproof… But is it safe? Generally speaking, teeth whitening is completely safe so long as it is done correctly. As is true with most medicines you take or procedures you go through, it’s important to follow the directions exactly as they are given. When executed properly, you may experience some minor teeth sensitivity but nothing that should compromise your overall health or wellbeing. However, teeth whitening can become unsafe for a few different reasons. In this article we will be going over those reasons and how you can ensure you have a successful and, more importantly, safe teeth whitening experience. The goal of teeth whitening shouldn’t be to have “white” teeth but rather to remove surface stains, balance color and improve the overall appearance of your teeth. When starting a teeth whitening treatment, it’s impossible not to imagine yourself with a set of sparkly white new chops. We are often triggered by words like, “luxe,” “diamond,“ ”3D white” and others that are advertised on teeth whitening treatments. But what do manufacturers really mean when they guarantee ‘white teeth’? Firstly, it’s important to recognize that we all have a starting, natural shade to our teeth. For some people, this shade is white, others off-white and some even yellow. This means that your teeth can only get as white as their natural shade. Think of it like this: If you have 5 people with varying tooth shades experience the same treatment - they will all end up with a different shade of ‘white’ at the end of it. Yes - even with the same whitening solution, the same dentists expertises, they will have varying results. The whiteness of your teeth post-treatment will also depend on the stains you have acquired - both the number of stains and how deeply they have penetrated the tooth. 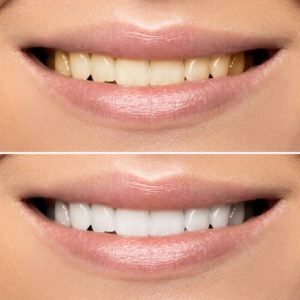 What to Consider Before Teeth Whitening? Thinking about improving your smile with teeth whitening? You are not alone! 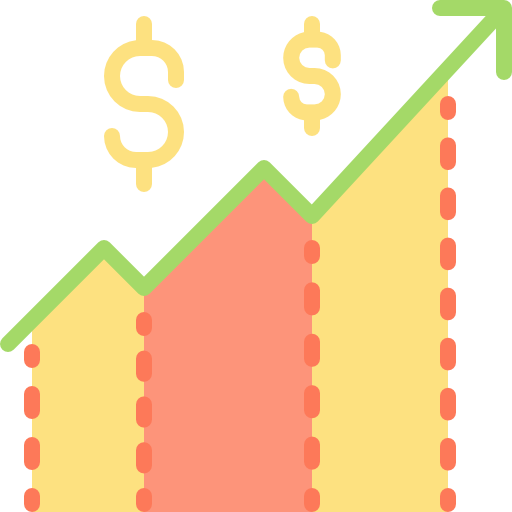 The teeth whitening products market is expected to reach USD 7.40 billion by 2024. There is clearly (and will continue to be) a demand for whiter, brighter smiles. And it’s easy to see why. It’s fast, adorable (and continues to decrease in price as it rises in popularity) and, most importantly, is proven to be safe and effective. But before you begin any teeth whitening treatment, there are a few essential things you need to consider. So put those whitening trays down and read in for the Four Things You Should Know Before You Whiten Your Teeth. I know, I know… we all want that perfect, white, glowing smile. But, unfortunately, teeth whitening is not an ideal tool for everyone. How do I know if I shouldn’t whiten my teeth? ​While no studies have shown any harm in teeth whitening while pregnant or breastfeeding, it’s still not prove to be 100% safe. For that reason, the American Dental Association (ADA) recommends deferring teeth whitening until after birth and/or the conclusion of breastfeeding. Because most teeth whitening solutions contain peroxide, it’s best not to take any chances. ​The agents in whitening gels can actually cause further harm and sensitivity to your gums. Talk with your dentist about your options prior to performing any teeth whitening treatment. You still have baby teeth. ​Teeth whitening is not recommended for children who still have baby teeth. This is because it can take about 2 years for the enamel layer of protection to grow onto new adult teeth. You have had dental work done. If any of the above apply to you and your dental health, refer to your dentist prior to making any teeth whitening choices. Even if you think you are an ideal candidate for teeth whitening, it’s advised you still talk with your dentist. Why? Well, for starters it will only help – not hurt. And, second, they may be able to recommend certain products or treatments that are better suited for your teeth and dental history. It is not uncommon to experience discomfort or sensitivity before or after teeth whitening. While it’s usually mild, it’s important to properly prepare for the treatment to avoid any additional pain. It’s better to be cautious and implement these pre and post treatment tips than risk the surprise of a painful recovery! Lastly, it’s important to consider the fact that your dream teeth and your reality teeth may not be the same. Trust me – I’m not trying to crush your dreams! I’m simply stating the fact that every single person has a different natural teeth shade. Some people have white, some off-white and some may even have a natural yellowish tone. For this reason, teeth whitening can only get your teeth back to their most natural shade. It’s important that you know going into the procedure that your teeth may not turn out to be as blindingly white as you originally pictured. But that shouldn’t be your goal anyway! Teeth whitening is meant to get your teeth back to their natural shade, to remove surface stains and to make you more confident! Now that you know what to consider before teeth whitening… what are you waiting for! How Often Should You Whiten Your Teeth? After completing a teeth whitening treatment, it’s not uncommon to immediately ask yourself, “When can I get them whitened again?” After all, we want to keep our teeth as white as possible for as long as possible, right? But over-whitening can cause discomfort and, in more serious cases, permanent damage to your teeth. The cells in your teeth are sensitive to the peroxide in the whitening agents and can lead to health-related issues such as gingivitis. The goal of any teeth whitening treatment should be to attain those pearly whites and keep your teeth safe, happy and healthy! So how often should you whiten your teeth? Let’s start by considering what kind of whitening treatment you’ll be using. There are essentially two ways you can use a teeth whitening treatment: In-office or at home. In-office whitening performed by a dentist will usually last for at least one year. This is because the whitening agents are stronger and will have more of an effect on your teeth. You’ll usually only have to come in once, maybe twice, to complete an in-office whitening. In addition, your dentist can further advise you on how long to wait until your next appointment. At-home treatments tend to take longer to complete because they ingredients aren’t as strong or potent. Manufacturers do not want to risk customers misusing the product and injuring their teeth or gums. As you can see, the method you choose to whiten your teeth plays a large role in how often you should get a whitening treatment. But there are other factors that can affect how often you should whiten your teeth, including your lifestyle. People who drink coffee, smoke or fail to maintain proper dental hygiene may require more frequent whitening treatments than others. Drink through a straw - Drinking through a straw can keep your teeth from coming into contact with substances that may stain them. Keep up with dental care - Brushing, flossing and using mouthwash regularly can help you maintain white teeth. Limit dark-colored drinks - Dark sodas, teas and coffee will stain your teeth the fastest. If you want to keep your teeth whitener for longer, try limiting your intake of these substances. Limit acidic drinks and beverages - Highly acidic food and drink can wear away at your enamel, exposing the yellow dentin layer beneath. How can I tell if I am over-whitening? If you notice a change in the sensitivity of your teeth, you may be whitening too often. The whitening agents in the treatments can wear down enamel if used too frequently. When the enamel wears down, the dentin layer beneath is exposed and can lead to discomfort when chewing, biting or when coming into contact with hot or cold temperatures. Similar to increased too sensitivity, your gums may also be experiencing some discomfort or even pain. The chemicals in whitening treatment, when used too often, can irritate your gums, making them more sensitive and even painful. In some cases this may lead to receding gums, exposing parts of the teeth that can no longer be whitened. The biggest indicator that you are over-whitening is the color of your teeth. If you notice your teeth turning a bluish color or that they are becoming slightly translucent and see-through, seek dental advice immediately. This is a sign that you have over-whitened your teeth and may have wore down the enamel to a dangerous level. This can lead to permanent damage of your teeth. As scary as over-whitening can seem, it is easily avoidable. If you take the time to complete the treatments properly, wait a long enough time before starting another treatment and talk with your dentist throughout the process, you will have a successful, and, more importantly, safe teeth whitening experience. In a perfect world, our teeth whitening efforts would be lasting and permanent. Wouldn’t it be nice if those pesky treatments were one and done and we didn’t have to worry about the inevitable follow-up treatments? Alas, unless you’re planning on getting porcelain veneers over all your teeth, there will come a day when your white teeth begin to fade and it may be time to consider another whitening treatment. The question is: How long does teeth whitening last? 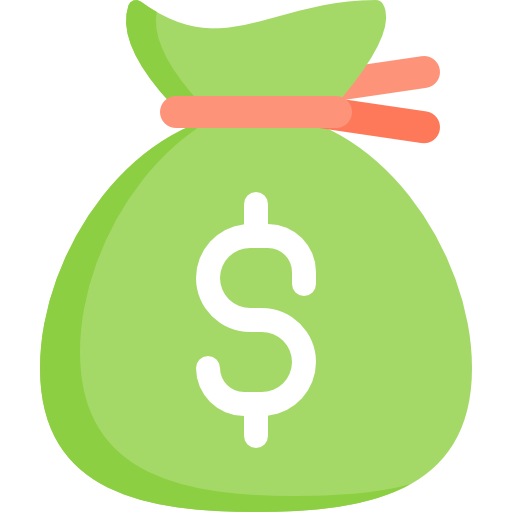 In general, the longer you can hold out before another treatment the better for both your wallet and your teeth. In this section, we are going to go over the factors that influence how long the effects of teeth whitening last and offer additional tips to keep your teeth whiter for longer! For starters, where you have your teeth whitening treatment done plays a heavy role in how long the whitening effects last. In general, in-office treatments will last longer than those that are done by you, in the home. Most over the counter or dentist administered at home whitening treatments will contain a mere 3% hydrogen peroxide, where as in-office treatments contain hydrogen peroxide in concentrations ranging from 15% to 43%. 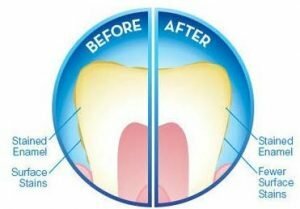 Hydrogen peroxide is an agent in teeth whitening solutions that helps remove stains and other discolorations from teeth. When there is a larger quantity of this ingredient, the whitening effect is longer-lasting and more effective. Usually an in-office whitening will last for 1 year (but can last for up to 3 or more if properly looked after!) and at home treatments between 3-6 months. How well you follow the instructions of an at home whitening kit can also affect how long your teeth whitening will last. In-office treatments have a very low-chance of being done poorly because the 1.) the solution is applied directly to the teeth and 2.) there is a professional doing the job for you. Leave the strips or gel on for exactly the recommended time. Too short and your teeth will not reach their maximum whiteness, too long and you could damage the enamel of your teeth or gums. If using a tray, make sure it is placed correctly and fits nicely over your teeth. You could lose some of the whitening solution if the tray is too big. Complete the recommended number of treatments. Some at-home whitening can take up to 2 weeks of daily treatments. If you complete a round of treatment fully, your teeth will be more likely to stay whiter longer. Did you know the effects of your teeth whitening treatment can fade in a mere 30 days? This can happen when you fail to properly look after your teeth or consume food/beverages that have a negative effect on your pearly whites. Following the tips below can help your teeth whitening treatment last longer. Take Care of Your Teeth - First and foremost, proper dental care will ensure that your teeth stay whiter for longer. Brushing twice daily and flossing at least once a day is a great place to start. In addition, you should be having regular appointments with your dentist for cleanings and exams. Avoid Teeth-Staining Food/Drink - I’m not trying to make you give up your morning cup of coffee (trust me - I need it too!) but there is a benefit to being aware of stain-causing substances. Take a look at your diet. Do you consume a lot of soda, tea, coffee or other dark beverages? Are you eating a lot of tomato-based sauces, red meats or chocolate? To make your whitening treatment last longer, try to limit your consumption of these types of foods. Don’t Smoke - If you are a smoker, this is easier said than done, right? But the facts remain: Smoking can cause your teeth to become discolored, fast. Not only that but frequent, heavy smoking can even turn your teeth a grayish color that is hard to reverse - even with a professional whitening treatment! Therefore, if you’re looking to have a long-lasting treatment, having your teeth whitened in-office followed by regular and persistent dental care will ensure amazing results! How do you decrease tooth sensitivity? Why Does Teeth Whitening Hurt? When Does Teeth Whitening Not Work? What Foods Naturally Whiten Teeth? What Can I Eat After Teeth Whitening?